Donate clothes and other household items in South Dakota. Charities such as Volunteers of America and The Club for Boys in Rapid City will pick up your donations for free and leave you a tax deduction receipt. Don’t wait and don’t hesitate. Schedule an online donation pick up through DonationTown.org and know that your non-profit donation is making a difference in the Mount Rushmore State. Donationtown.org allows you to schedule online appointments for South Dakota donation pick ups. It has never been so convenient to make charitable donations in South Dakota until now. Whether you live West River or East River, your charity donations are needed right now. The South Dakota charities mentioned above are always accepting clothing donations, which are wonderful ways of making non-profit charity donations. Also donate shoes, boots, coats and jackets for plunging temperatures. Donate clothes you never wear anymore. Empty out your kids’ closets and donate clothes they have outgrown. 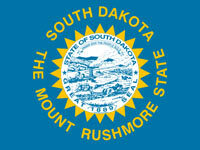 You can be sure that there will be people who will benefit from your South Dakota charitable clothing donation pick up. Furniture donations are equally as important as clothing donations. Make a couch donation or donate office furniture. Donate a mattress and know that a fellow member of the Mount Rushmore State will sleep better because of your charity donation. Or donate appliances you’ve recently replaced. Appliance and furniture donations are an easy way to get a tax deduction. Donate items that collect dust in your house or garage but will bring joy to others. Toy donations are a wonderful gift to the needy children of South Dakota. Donate stuffed animals and know that you are giving comfort and friendship to little kids. South Dakota book donations are also wonderful donation pick up items. Donate magazines and share your recent reading instead of throwing it away. Schedule your appointment for your South Dakota toy donation pick up today! 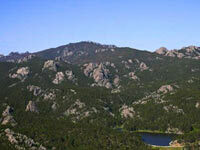 Where Can I Donate Clothes, Furniture, Books and Other Household Goods in South Dakota?